We’ve all heard cliches like “you get what you pay for” or “there’s no such thing as free lunch.” At the same time, it completely makes sense to have a keen eye for value and discern what is important to you and how to spend your money. Beta-hydroxybutyrate ketones are new to the health and wellness space, and there is a huge buzz about them, for good reason. With nothing else to compare them too, it sometimes causes some “sticker shock” to those who aren’t aware that ketones are an expensive substance. 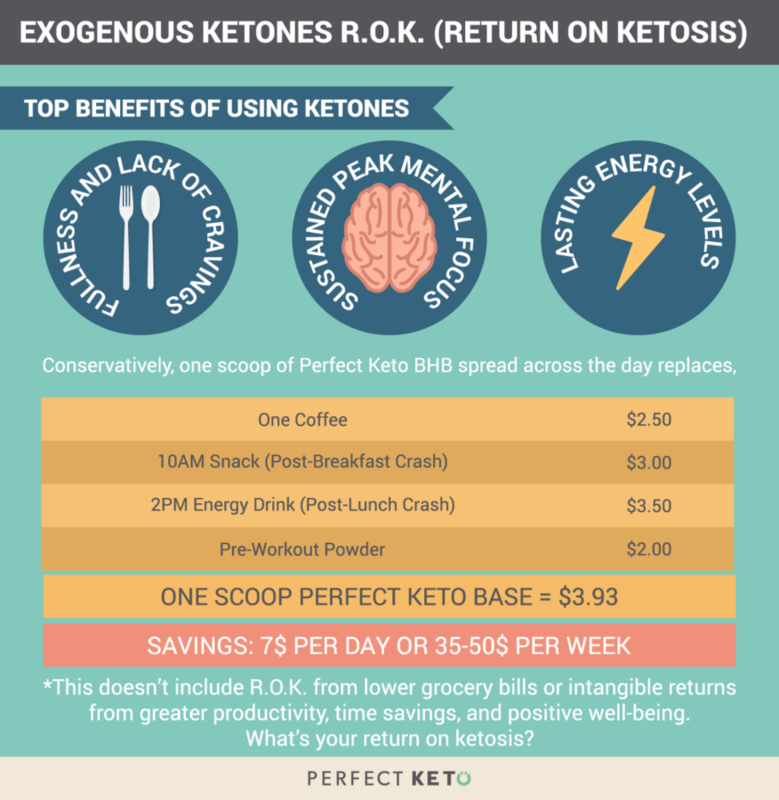 This article is to briefly explain why exogenous ketones are expensive and show a one-minute test to see if using exogenous ketones will actually save you money on top of the litany of benefits from being in ketosis. In a broader view, the cost of being healthy in general can be pretty pricey. Supplements are expensive. Gym memberships cost an arm and a leg. Exercise classes can run 30$ a pop. Vegetables cost more than chips. As a case study, let’s take a look at the four main reasons exogenous ketones are expensive but keep in mind that what we are really talking about is the question, why does it cost so much to make healthy choices? Drilling down into the case study of exogenous ketones. It’s worth mentioning that the price tag of ketones is one of the top problems Perfect Keto solves. It’s our mission to make ketosis accessible to everyone who wants it, all the time. To do this, it was a priority to make exogenous ketones accessible and affordable. Ketones are notoriously beneficial, but also wildly expensive, or they taste horrible, or they are terrible quality. Perfect Keto navigated four main hurdles to deliver a ketone product that is affordable and palatable. Beta-Hydroxybutyrate (BHB) is a new product – Everyone has heard of protein and pre-workout powders, etc. They are ubiquitous. The reason BHB is not widely known is because it’s an extreamly new product, in its infancy and on the cutting edge of nutritional supplements. BHB is hard to make and source – Beta-Hydroxybutyrate does not grow on trees. The process to source, purify and isolate BHB is highly labor intensive. Perfect Keto BHB is made in the United States – Perfect Keto is all about quality. We don’t want to put anything in our bodies that isn’t helpful, and we don’t want to provide a sub-optimal product. Our quality standards are outrageously high, and that means we are painstaking about every phase of sourcing and producing the best ketogenic nutritional supplements. Research and Development – Think about pharmaceutical companies that charge outrageous prices for their new name brand drug. The reason is because they have sunk millions of dollars into research and development over the years behind the scenes. R&D costs for BHB drive up the price of every step of the supply chain. Not all exogenous ketones are the same. See our guide to ketone supplements. Here is a quick summary of the specific problems Perfect Keto solves. Base is a completely clean product. It does not contain any soy, dairy, gluten, artificial sweeteners, binding agents, or anything that doesn’t directly improve your health. Base tastes good (some say delicious, some say palatable). Exogenous ketones taste notoriously awful but Perfect Keto comes in Chocolate, Peaches, Salted Caramel, and Vanilla flavors that go great in almost any beverage, coffee or smoothie you can dream up. Perfect Keto uses only the highest quality salts, sourced in the United States, in just the right amounts so that the exogenous ketones are easy on your digestive system. Perfect Keto exogenous ketones are cheaper than the standard price on the market today. 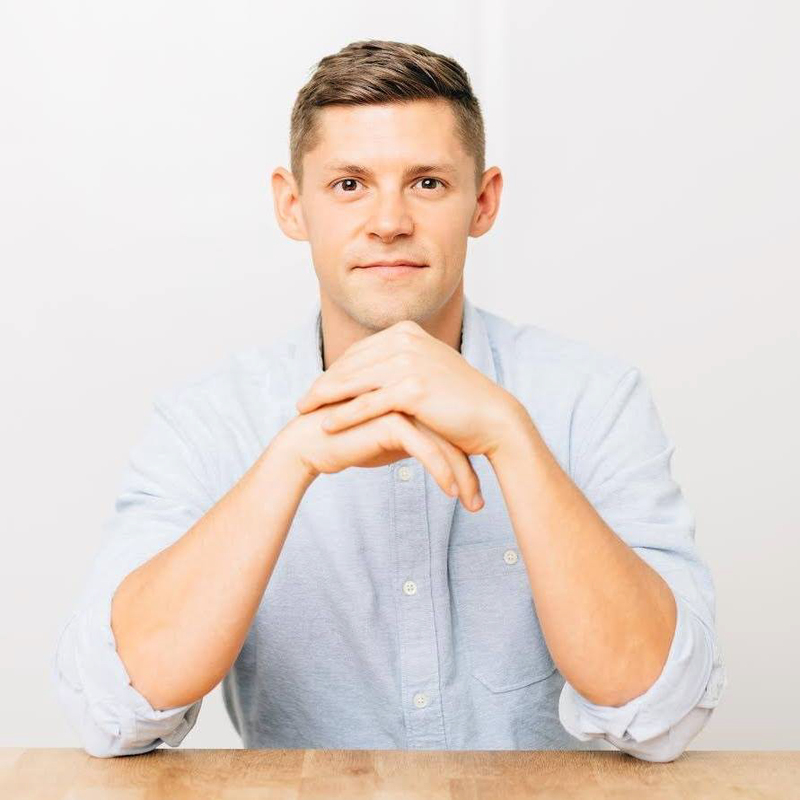 We want ketosis to be available to everyone. Big Takeaway: Make no mistake, if you are buying “ketones” that are inexpensive they are either sourced from god-awful locations, or they are jam-packed with fillers, or they are not real ketone products and they are just being marketed as “ketogenic.” See Raspberry Ketones. But what can you expect to gain from exogenous ketones? That’s the whole point of buying and drinking them right? With any purchase we make, we are (usually unconsciously) making an assessment of the return we will receive and if it is worth it to us. Exogenous ketones are no different and they carry a very interesting return on investment. We call it the Return on Ketosis (R.O.K.). There are two types of return we can expect, intangible (non-quantifiable) and tangible (quantifiable). These benefits all sound great! But again, they are hard to quantify and can be considered intangible returns on investing in a quality ketogenic lifestyle. Let’s look at the brass tax: dollars and cents. Are ketones worth it to our wallets? Are exogenous ketones worth it? And to expand on this topic, is the price of being healthy worth it? Exogenous ketones carry tangible and intangible benefits that are up to you to examine and then decide if they are worth it. In a broader sense, it’s up to you to examine whether it is “worth it” to make health decisions that cost money, regardless of what style of eating and exercise you follow or specific goals you may have. I’ve heard the quickest way to find out what you care about is to look at your credit card statement and your weekends. In other words, what do you spend your free time and money on? This is the objective way to see (by your actions) if you feel it is “worth it” to be healthy. In the first half of life, many people waste their health trying to make money and then in the second half of life they spend the money trying to get their health back. The choices are yours to own. I’m trying to see when to use Perfect Keto. I just ordered and want to make sure I get the full weight loss benefits. I clicked on how/when to use and I don’t see anything that fully explains it. I am following a Keto diet and drinking 1/2 scoop in my coffee and have done that for 3 days. Please advise. Hi Crystal, using Perfect Keto varies by person. The most common uses are in the morning or afternoon for energy and a mental lift, before and during exercise for physical energy, and as a tool to get back into ketosis after eating a non-ketogenic meal. The amount of times you take it per day also varies by person. There is no danger to taking the ketones multiple times per day and multiple scoops. Most people use Perfect Keto between 0-3 times per dayand find it best to start slowly and go from there to see what is most beneficial for you. When are the best times to drink exogenic ketones? With breakfast? After breakfast? If so then 15 minutes? 1 hour? 2 hours? Between breakfast and lunch? Before dinner? If so, 2 hours? 1 hour? After dinner? One hour? Two hours? Help! Whats your goal? When would you like a boost of ketone energy? Hello Alexander! I did a Keto diet some years ago, and it was the best I have ever felt, I lost close to 80 pounds. Due to age, menopause and such, I have put up all the weight and found it hard to get on a Keto diet again. I just ordered the chocolate powder, hoping it gives me a boost and helps me get started. How do you recommend I take it? I usually take 3 protein shakes and 2 protein/fat meals when in a veto diet, that I really want to start asap! Thanks! hi are ketones safe to take if I take ompreozal for acid reflux problems? Hi Danielle, we’ve never heard of a customer having problems with this but it would be best to check with your physician first. Hi Esther! You can take it in the morning or between meals. You may also try it on an empty stomach or after eating a meal. Try 1/4 scoop first, heavily diluted in water or if you want, you can mix it with your protein shake. Ramp up from there. This may be a dumb question, but it is something I’ve been wondering. Does taking exogenous ketones suppress your body’s own ketone production? For example, if your body registers that there are already ketones present, does it still produce them naturally? I’m having trouble finding an actual image of the nutrition label of your product. Can you post a link? Do you feel the cost of Ketone Salts will gradually lower as demand/production increases? Or is there a point in the production process itself that makes that an unreasonable hope? I usually makee a bulletproof coffee for breakfast before leaving for work at 7 and that holds me till I get home at 4. I ordered matcha MCT powder to try that in the morning as a latte or added to my coffee. I’m in school full time too, so when I get home I have a snack or small meal & get right to studying. I’d love some extra focus and energy at this time of day. Would exogenous ketones help then, or would they be better in the morning? Dinner is my only big meal of the day. I have just received a re-order from ya’ll. I started by trying the choc sea salt base, loved, and now reordered several canisters along with MCT oil powder and the collagen. Can you advise how to alternate these optimally? Also I recently heard this may be (to some degree) an optical illusion, as part of ones body being in Ketosis is the body actually working to create the ketones. If we are intaking exogenous ketones our body is no longer making the ketones (not having to work for the ketones, but we remain in Ketosis). If testing urine using strips will provide a +, however this is the excretion of the exogenous but once again not the body working to create and spill excess ketones. Can you please explain further? Hi William, hopefully, but unknown. what is the difference between the Exogenous and he MCT powder. Not sure if I need both? Hi Brenda, if you want to boost your ketone level, you can take the base, however, if you need more fats in your diet, you can take the MCT powder.